Some amazingly creative IKEA hacks for litter box solutions! Make your very own litter box furniture. As seen on IKEA Hackers website. A cute catbox . . . finally! 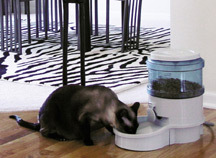 The Ergo Pet Feeder….Great for Fat Cats and multiple cat families. Can be set for up to eight times a day for any amount. 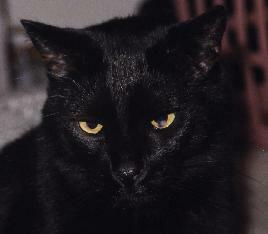 For cats on a diet have it dispense a small amount frequently throughout the day. 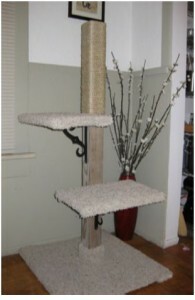 For multiple cats place two feeders in separate areas to feed at the same time.